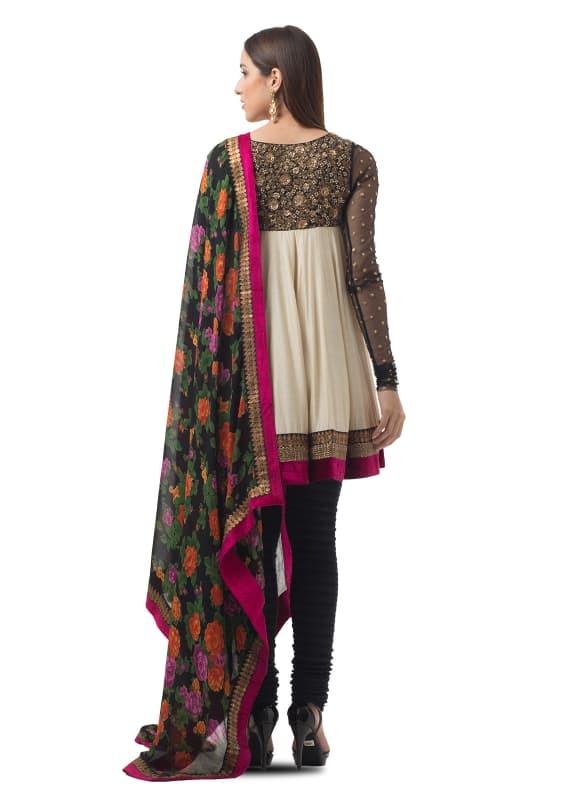 This cream and black short anarkali comes with hand-embroidery on the bodice, hemline and sleeves. 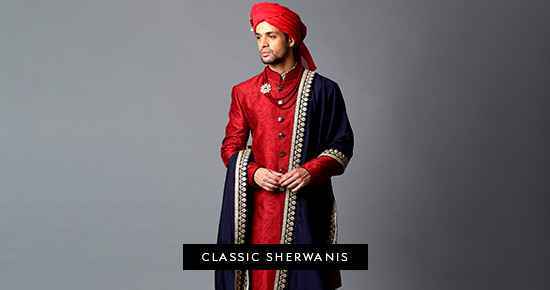 It is paired with a crushed churidar and a floral print dupatta with back and pink border all around. Look stunning in this delicate and beautiful Sabyasachi anarkali, perfect for a day wedding or a mehendi. Style the look with a pair of earrings by Amethyst.